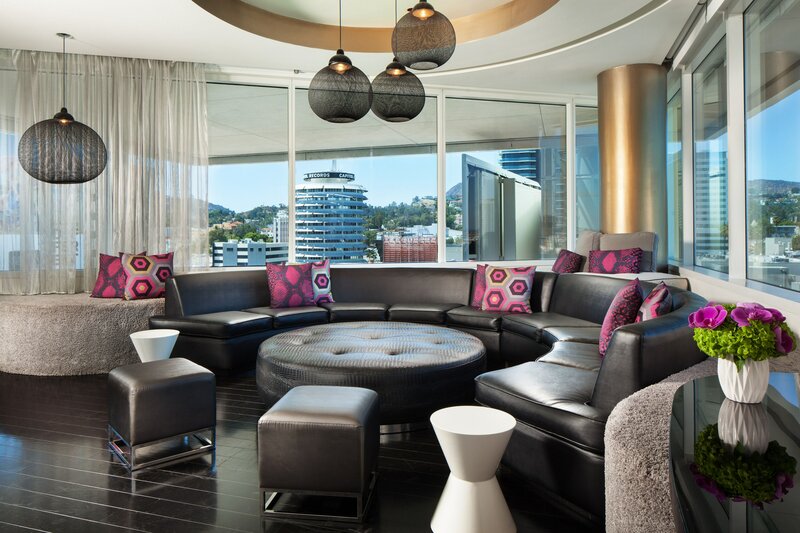 Embrace modern glitz and glamour at the W Hollywood hotel, a luxury travel destination located in the heart of Hollywood. 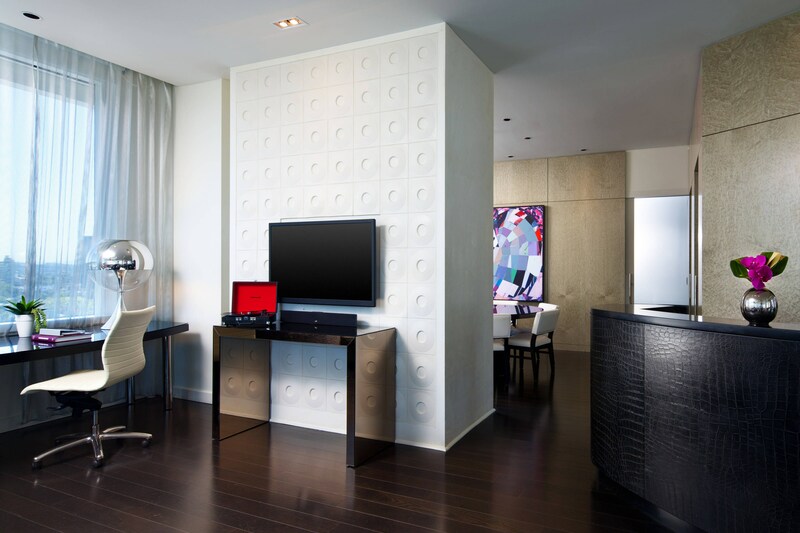 Welcome to the Extreme Wow Suite. 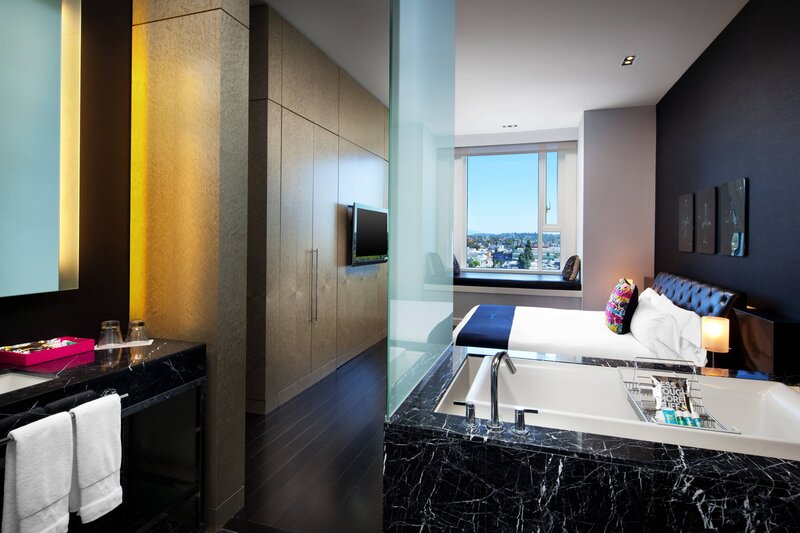 This expansive one-bedroom suite stretches across 1,660 square feet and boasts floor-to-ceiling windows you can see all of Hollywood from. A marble soaking tub, serpentine sofa, and dining area make for an extremely relaxing space to escape.